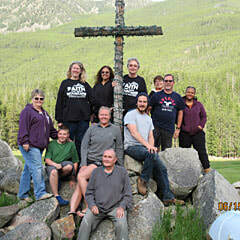 On-line giving to FUMCDP is safe and secure. It's easy for one-time gifts, offering, and pledges. Use your credit or debit card, or pay directly from your bank account. Transactions are protected by Vanco, a leading processing vendor that specializes in church donations. Your connection is SSL, the latest internet security protocol. You can view or print a permanent record of your giving. All electronic payments are entered each month into your personal record at FUMCDP. You can make a special gift to support this much-needed community program. Go to our on-line giving page, and select Bessie's Table from the drop-down list under 'Other Designated Giving'. You can help spread the message of God's love here in our community and across the planet. ​Go to our on-line giving page, and select Adult Missions from the drop-down list under 'Other Designated Giving'. ​An easy way to give to FUMCDP at no cost to you! AmazonSmile is a simple and automatic way for you to support FUMCDP every time you shop, at no cost to you. When you shop at smile.amazon.com, you'll find the exact same low prices, vast selection and convenient shopping experience as Amazon.com, with the added bonus that Amazon will donate 0.5% of the purchase price to our Church. 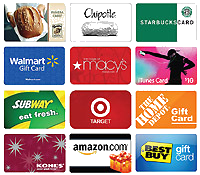 ​Use Manna Gift Cards when you shop and help FUMCDP! Your purchase of grocery, restaurant, clothing, gas station and entertainment gift cards nets our church between 2% -- 20% of your purchase price. You won't be paying a commission or any fees - cards sell for 100% of their value. It's a "no-brainer"!